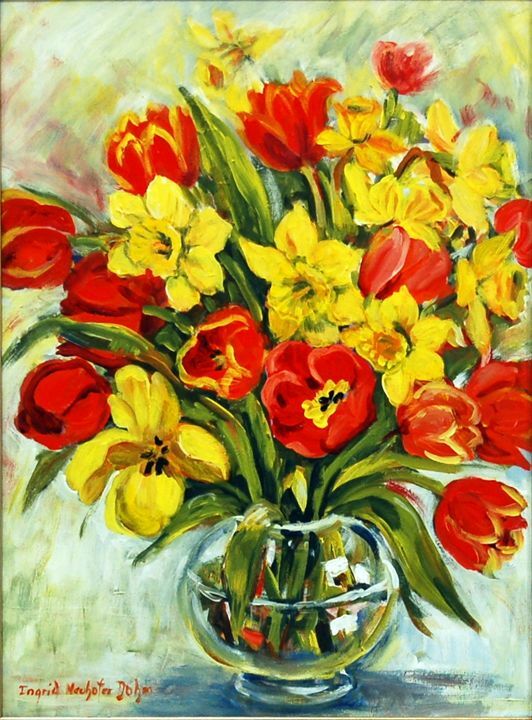 This is an acrylic on canvas floral still life painting of tulips and daffodils, 24 x 18 inches. 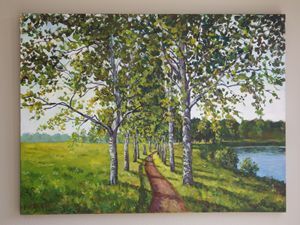 My paintings capture the intensity and the very essence of my relationship to art. 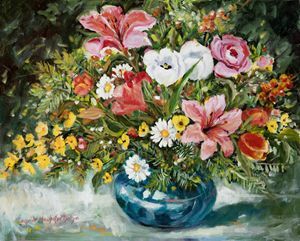 Floral images, from earliest childhood, have always remained the lynchpin that would lead me to further explorations for my artistic expressions. 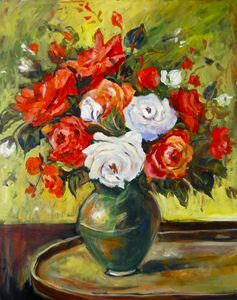 I have seriously attempted other avenues of expression, such as portraits and abstract painting, but personal satisfaction has always eluded me. 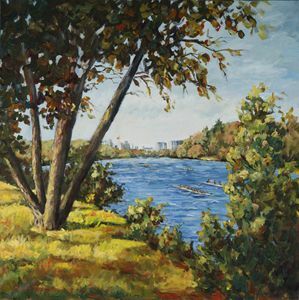 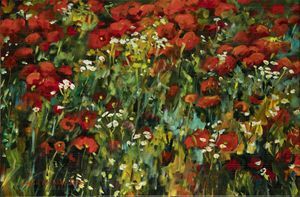 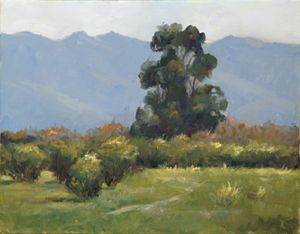 Even in painting landscapes, a floral image may crop up here or there and often overtake it to become a floral landscape or a floral garden landscape. 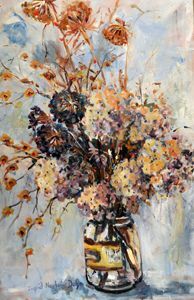 Still life suffers the same fate. 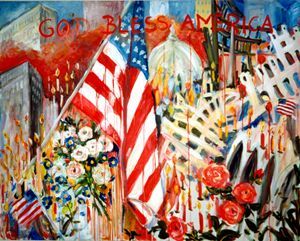 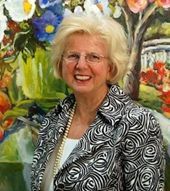 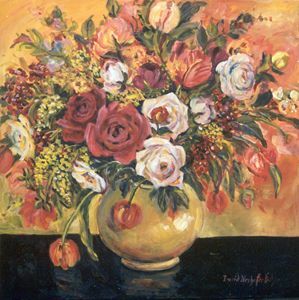 Ingrid Dohm is an award-winning artist based in Rockford, Illinois. 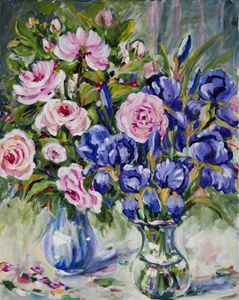 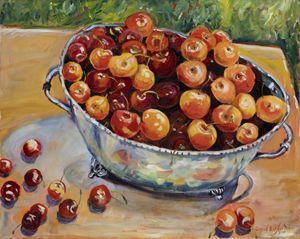 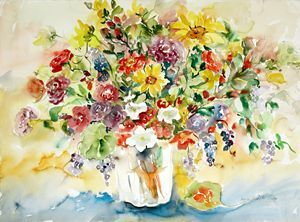 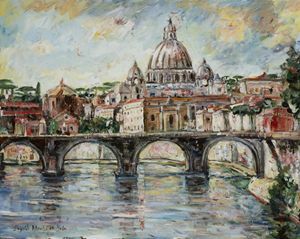 Well known for her signature floral still life, her body of work spans an impressive array of subjects: landscapes, street scenes, and portraits, to name a few. 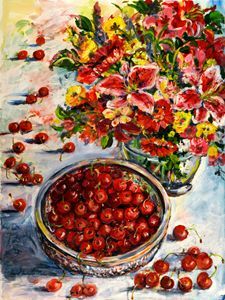 The tie that binds this diverse body of work together is the consistent beauty, the lush and vibrant use of color, and the controlled technique that result in the unique elegance of her original artwork.